Bus routes 554/K, 560 and 561 will be diverted from 10pm on Thursday 4 August to 5am on Friday 5 Augus due to construction work. 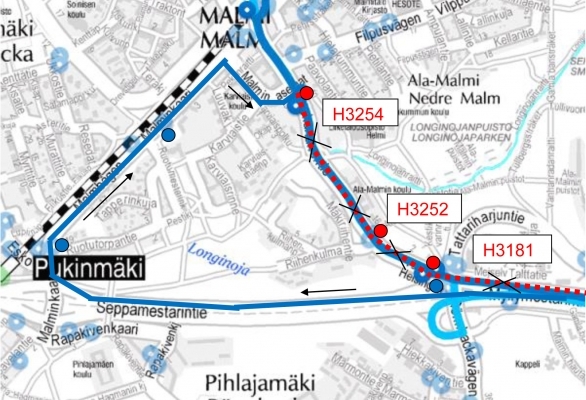 From the direction of Itäkeskus, the buses will run to Malmi station via Seppämestarintie and Malminkaari. The buses will not serve the following stops: Vanha Helsingintie (H3181), Riihenkulma (H3252) and Ala-Malmi (H3254).